The people behind Smash Bros. say not to expect a lot of third-party characters in the next incarnation of their fighting game. Mega Man is an exception. While chatting with Smash designer Masahiro Sakurai this morning, I pointed out that fans are very psyched about the Blue Bomber making an appearance in his next game. Third-party characters—or, characters from publishers not named Nintendo—are uncommon in Super Smash Bros., and after appearances by Solid Snake and Sonic in the last game, Brawl, a lot of people were hoping to see Capcom bring Mega Man to Nintendo's mascot fighting series. 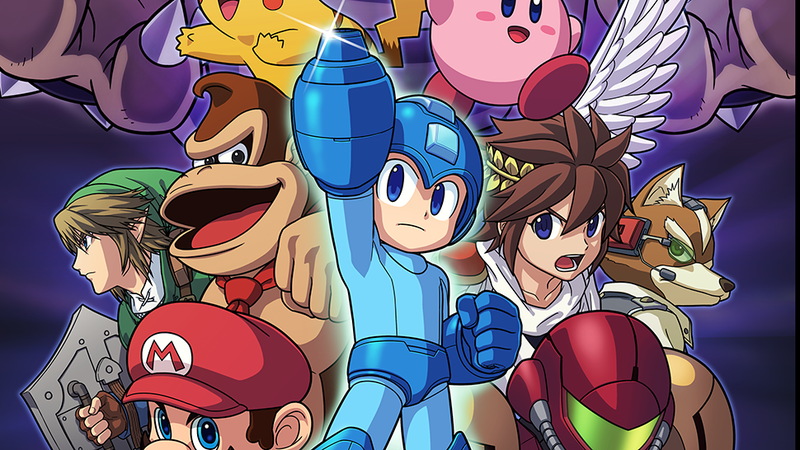 Mega Man Is FINALLY Coming To Smash Bros.
"So," I continued, "what's the third-party character you'd most like to see?" "I'm really sorry," he said through a translator. "If I were to answer that question, I'd get in a lot of trouble in a lot of different ways, so I can't answer. But I think I can say generally that there won't be a trend of adding a lot of third-party characters. You can sort of think of Mega Man as being the special case." And what about returning characters? I knew Sakurai wouldn't want to get too specific—Nintendo likes to announce characters for their big mascot fighting series with a dripfeed of news on the Smash Bros. Dojo website—but should fans expect all of their favorites from Melee and Brawl? "The reality of the situation unfortunately is that there are certain limitations on the 3DS," Sakurai said. The 3DS and Wii U versions of the next Smash Bros will have the same library of characters. "So we're forced into the situation where we may need to reduce some characters to a certain degree. but we're really working hard in order to include as many characters as possible."